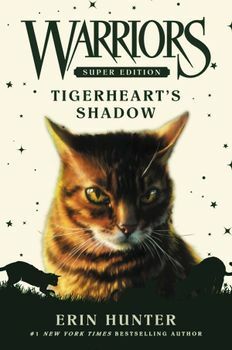 ↑ Warriors Super Edition: Tigerheart's Shadow Library Binding – September 5, 2017. Amazon. ↑ 5.0 5.1 Warriors Super Edition: Tigerheart's Shadow Hardcover – September 5, 2017. Amazon. ↑ Warriors Super Edition: Tigerheart's Shadow Kindle Edition. Amazon. ↑ Warriors Super Edition: Tigerheart's Shadow Paperback – September 4, 2018. Amazon. ↑ 8.0 8.1 Warrior Cats - Special Adventure. Tigerherz' Schatten Gebundenes Buch – 13. März 2019. Amazon.